Podium finishes, it was gold and silver for the host nation as matters concluded in the respective Cadet Boys’ Team and Cadet Girls’ Team events at the 2017 Italian Junior and Cadet Open in Lignano on Saturday 11th March. However, whatever the outcome, it was more than a satisfactory conclusion; in both competitions expectations were exceeded. Representing Italy ‘A’, Matteo Gualdi and John Oyebode, the Cadet Boys’ Team winners started play as the no.2 seeds; likewise on duty for Italy ‘A’, Jameli Laurenti and Evelyn Vivarelli, the silver medallists in the Cadet Girls’ Team competition, beaten by the French trio of Cloe Chomis, Lou Frete and Lucie Mobarek, commenced proceedings as the no.5 seeds. Furthermore, for both successful partnerships, the same pattern was followed in the latter rounds, a three matches to nil success in the final was preceded by a hard fought full distance penultimate round clash. Against Portugal, the no.3 seeds, in the penultimate round; after John Oyebode lost to Tiago Li (12-10, 5-11, 12-14, 11-6, 11-6) and Matteo Gualdi suffered defeat against Gonçalo Gomes (10-12, 11-9, 9-11, 11-4, 11-7) the outcome looked bleak for the hosts. It was at that stage the recovery began. The Italians won the doubles (11-9, 11-8, 11-9), before Matteo Gualdi accounted for Tiago Li (11-9, 4-11, 11-9, 11-7) and John Oyebode completed to fightback by overcoming Gonçalo Gomes (11-9, 15-13, 12-10). In the final against Belgium’s Adrien Rassenfosse and Nicolas Degros, the no.4 seeds, life was less dramatic. John Oyebode beat Adrien Rassenfosse (11-7, 9-11, 11-5, 11-7) before Matteo Gualdi accounted for Nicolas Degros (14-12, 9-11, 11-8, 11-3) and a doubles success (11-3, 9-11, 8-11, 11-7, 11-9), clinched the title. 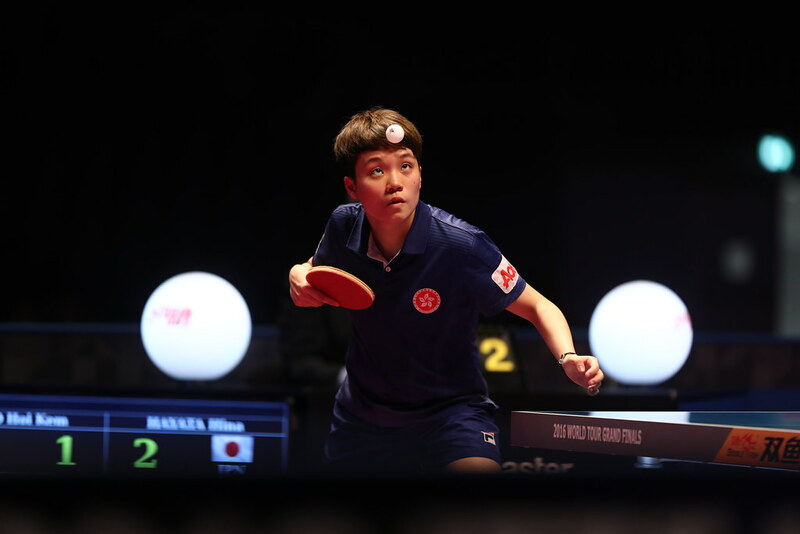 Meanwhile France, also the no.2 seeds, found Rachel Sung, a major obstacle in their penultimate round clash against the United States, the no.9 seeds. The 12 year old beat both Lucie Mobarek (11-7, 11-3, 11-4) and Lou Frete (11-7, 11-6, 12-10) but that was to be the only successes for the Stars and Stripes. Twin sister Joanna was beaten by Kou Frete (11-7, 11-5, 15-13) and in the crucial deciding fifth encounter by Lucie Mobarek (11-7, 11-8, 11-9), after Cloe Chomis and Lou Frete had recovered from a two games to nil deficit secure the doubles (7-11, 11-13, 11-8, 11-7, 11-8). Day Four: titles decided in the Team events at the 2017 Italian Junior and Cadet OpenA place in the final booked; life was less fraught after Cloe Tomas had given the champions elect the perfect start by overcoming Jamila Laurenti in five games (11-7, 8-11, 11-9, 12-14, 11-8). Lou Frete overcame Evelyn Vivarelli (12-10, 11-13, 12-10, 13-11), before Cloe Chomis partnered Lucie Mobarek to doubles success (6-11, 9-11, 11-9, 11-9). Earlier at the semi-final stage; thanks to wins from Jamila Laurenti over Denisa Uritu (11-5, 11-2, 8-11, 12-10) and Elena Zaharia (11-5, 11-7, 9-11, 11-1), plus a doubles success in partnership with Evelyn Vivarelli against Luciana Mitrofan and Elena Zhararia, a three-one win had been recorded against Romania, the no.5 seeds. Impressive from Jamila Laurenti, for Belgium at the semi-final stage of the Cadet Boys’ Team event, it had been an imposing effort from Nicolas Degros. He beat both Guillaume Alcayde (11-7, 5-11, 11-2, 11-9) and in the vital fifth and concluding contest Fabio Rakotoarimanana (11-9, 9-11, 11-7, 6-11, 11-6). The one remaining Belgium win was clinched by Adrien Rassenfosse. He accounted for Guillaume Alcayde (11-7, 11-5, 9-11, 11-7) after having lost to Fabio Rakotoarimanana in the opening match of the fixture (16-14, 11-6, 11-5). Play concludes on Sunday 12th March with play in the Cadet Boys’ Singles, Cadet Girls’ Singles, Cadet Boys’ Doubles, Cadet Girls’ Doubles, Hopes Boys’ Singles and Hopes Girls’ Singles events.